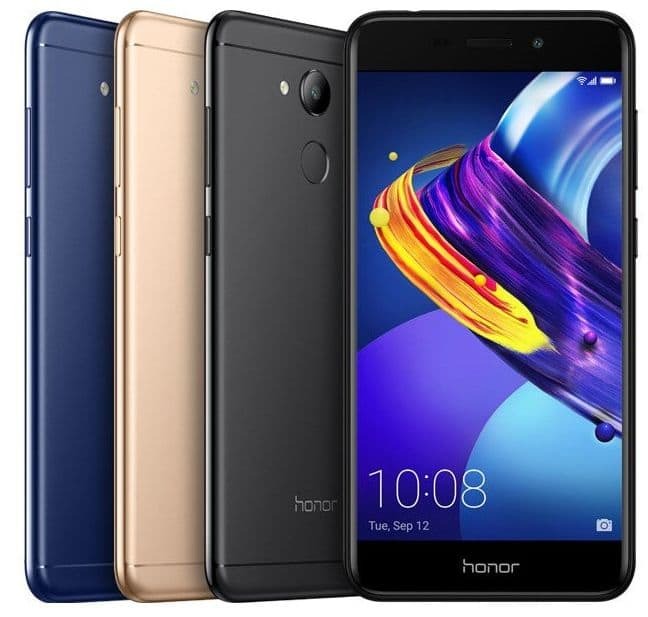 Huawei has unveiled a successor to its Honor 6C series of smartphones in the form of Honor 6C Pro. The device sports bumped up features as- a 5.2-inch HD (720 x 1280 pixels) display in a unibody form factor. The smartphone would retail in Black, Gold and Blue colored variants, priced at EUR 179 (roughly Rs. 13,750). It will be first made available for European markets. Powered by an octa-core MediaTek MT6750 clocked at 1.5 GHz with Mali-T860MP2 GPU, the device features 3 GB of RAM same as its predecessor. There is a provision of 32 GB of internal storage which is expandable to up to 128 GB via a micro SD card. This specification too doesn’t alter from Honor 6C. What changes however is the OS, Honor 6C Pro runs on Android 7.0 Nougat with company’s own EMUI 5.1 on top, while its predecessor sported an Android 6.0 Marshmallow with EMUI 4.1. The battery feature however seems to be muted down to 3000 mAh in Honor 6C Pro from 3020 mAh found in 6C. In the camera department there’s a 13-megapixel rear camera with an aperture of f/2.2 and auto focus capability. On the front end, there is a beefed up 8-megapixel sensor for selfie enthusiasts, compared to an earlier 5-megapixel front module featured on Honor 6C. Additionally Honor 6C Pro houses a fingerprint scanner on the back. The handset supports dual-SIM, 4G LTE, a standard Micro-USB port, Wi-Fi, Bluetooth, GPS and a headphone jack slot. Honor 6C Pro has reportedly been launched in Russia recently. In an another update from Huawei, Honor 9i, launched on October 5, will go on sale today at midnight on Flipkart. The smartphone priced at Rs. 17,999 would retail in Platinum Gold, Midnight Black and Navy Blue color options starting 00.01hours on October 14. Huawei owned Honor is doing all things wrong. For a smartphone that is expected to cost above ten thousand rupees giving it an entry level MediaTek chipset is just wrong. Manufacturers like XIaomi are just killing it when it comes to sales just because they stick to Qualcomm Snapdragon chipsets. Huawei also follows Xiaomi mantra by opting for online exclusive sales and spending less money on advertising but sadly does not give the end user the benefit by adding features. This phone, the Honor 6C Pro is also going to be launched in European markets where it will be crushed by competition not to mention the higher expectation of people.